Head Talk is a quintet for “drums without shells.” This was my first composition outside of writing marching drum line arrangements and I wrote it for my students at Middle Tennessee State University. I started working at MTSU in the fall of 1983 and I was excited to build a program there. I had already taught one semester at Murray State University across the state line in Kentucky and I was happy to be living and working near Nashville. The percussion program at MTSU was young but energetic. I wanted my students to experience quality percussion ensemble music, but at first we just were not ready for difficult literature. So my training as a composer began on the job as I would arrange published percussion ensemble works to match the ability levels of my studio. I enjoyed this process and so did the students. At that time we did not have a strong budget for percussion supplies. So whenever I could replace a drum-head on a snare drum or tom-tom, I would save the old head in case there might ever be a need. After a few years this emergency never arrived and I ended up with a closet full of drum heads. Then one day driving to Nashville to play a show, I had an idea for a composition using these drum heads. It would focus on rhythmic independence and also be a bit of fun! Remo was promoting new drum sets with pre-tuned heads and these heads turned out to be a perfect addition to my music. 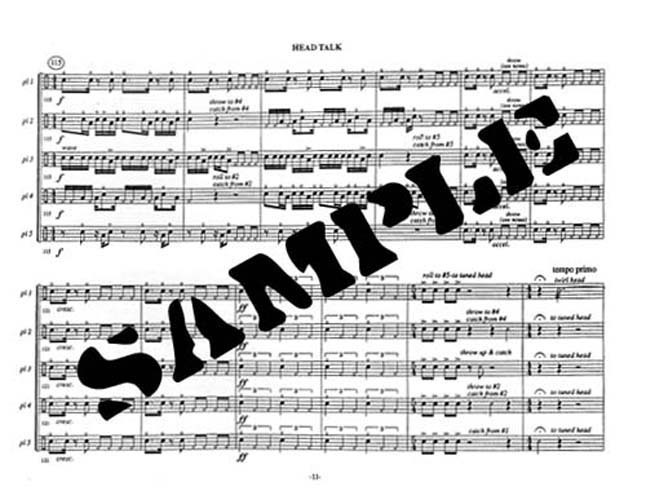 Head Talk was premiered at a concert band festival in February of 1988 at MTSU hosted by Band Director Joe Smith. The players were Erik Johnson, Kevin Hamond, Tony Cox, Wes Buttrey and Clint Juday. 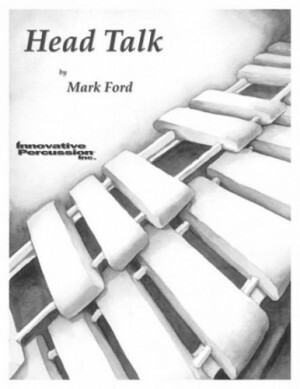 I had a hard time trying to find a publisher who would publish Head Talk. I have rejection letters from potential publishers saying that Head Talk (and Stubernic) would never be performed unless I was there to coach each ensemble. Of course I did not believe this so for a year or so I sold the music independently from my home. Then I called Erik Johnson, now President of Innovative Percussion. Erik and I had started IP together and I told him that we needed to start a publishing company at IP in addition to the mallets. He agreed and since its conception in 1987 Head Talk has been performed in thousands of concerts all over the world!